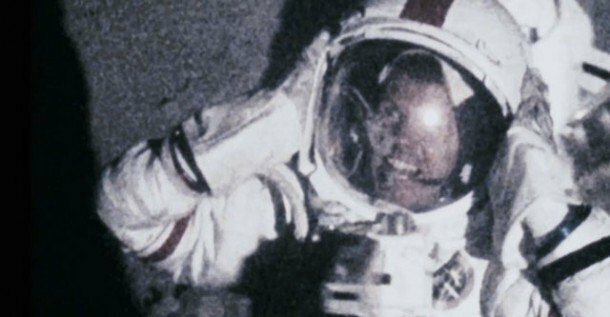 Apollo 18 is a found footage film that proclaims that the canceled Apollo 18 mission did in fact land on the moon in 1974 but never returned. The film, marketed as a documentary of sorts that had its content culled from “over 11 hours” of recently discovered videos, admittedly has a great concept. Unfortunately, it fails miserably in its execution. Focusing primarily on two astronauts, Ben Anderson (Warren Christie) and Nate Walker (Lloyd Owen), the film takes its sweet time getting anywhere. In fact, its short 86 minute running time feels twice as long. Insidious is a ghost story that is anything but conventional. What’s funny is that it starts off as a paint-by-numbers take on the genre before going in a completely different direction during its second half, one that will make or break the film for most viewers. Patrick Wilson and Rose Byrne star as a married couple who have moved into a new home with their three children. One night, their oldest son, Dalton (Ty Simpkins), is playing in the attic when he falls off a ladder, hitting his head on the ground. He goes into a deep coma, and the doctors are clueless as to what is causing this. Shortly after this accident, the family begins experiencing a number of paranormal events in their new home. Doors open on their own, alarms go off, and the youngest son claims to hear his comatose brother walking around at night. In a neat twist, at least compared to most horror films, the family actually moves out of their house and into a new home. Here is a found footage film with a killer concept — a group of dudebros break into an old man’s house to steal a VHS tape, but what they find is a collection of home videos, each one more gruesome than the last. Nevermind that most of the videos we see are completely implausible to have been transferred to VHS — how likely is it that a Skype video chat would make its way to a tape? V/H/S is an anthology collection comprised of six different short films, each directed by a different filmmaker (including Adam Wingard and Ti West). All of these clips are linked in that they share the same atrocious handheld “shaky cam” techniques, with the added “bonus” of buffering and unwanted jump cuts. This is just about the worst possible film for anyone who gets motion sickness to watch. Normally I can tolerate shaky cam movies like this, but this one gave me a nasty headache after just ten minutes. No interest in any of this I’m afraid. As you know this genre is not my cup of tea, but I did watch a psycho horror of sort this wknd, recommended by my pal Jack Deth aka Kevin. It’s a small budget movie called The Objective. The Objective, eh? Haven’t heard of that one. Good stuff? I think you read Jack’s post on that one? Yeah it’s pretty good despite its low budget. Apollo 18 is just plain bad. I swear, at one point, it looked like the film had promise. Or maybe the marketing fooled me. Heh, no you’re not alone in thinking it had potential, Jaina. I was actually really interested in it at first, but the bad reviews scared me away until now. Unfortunately, yeah, the reviews were accurate. 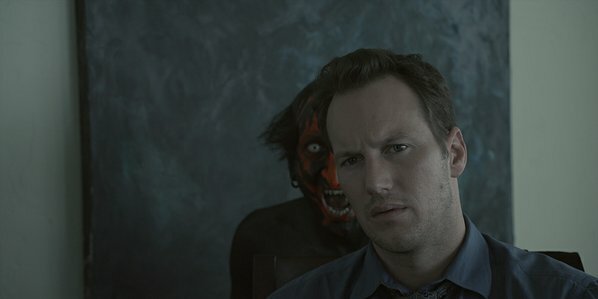 This finally convinced me to watch Insidious. I started it once, but turned it off because it was so formulaic. Looking forward to watching. Hi Jacob, I hope you enjoy Insidious more the second time around. It gets pretty far out there during the second half, but I really enjoyed its unique approach after what was, as you said, a very formulaic start. Only seen Insidious of these. It was ok, and had a couple of nice ideas(the baby alarm and the coma), but it didn’t linger in the mind. I didn’t care about the family, even though the filmmakers actually tried to make me feel for their plight. For me, Saw is James Wan’s best horror. I think Saw is still my favorite Wan as well, though I do need to see Dead Silence. As for Apollo 18 and V/H/S, you’re not missing anything. Thanks, Morgan. Yeah, V/H/S is full of little annoyances like that. The concept has a ton of potential, but it just didn’t work out this time. Who knows, maybe they got it right with the sequel. I couldn’t agree more on your thoughts on V/H/S. There’s some buried potential in there that was not exploited properly. I felt all the shorts followed compelling ideas but their execution was terrible. I found two of them actually pretty good. The one you mention, which was really very creepy, and the one with the “strange being” in the middle of a forested area. Perhaps I enjoyed the latter because the very idea of something of the sort freaked me out, even though the presentation of it all was less than convincing. As for Insidious, I think I mentioned it to you over twitter, but I’m one that really enjoyed the first half, and was utterly disappointed by the second half. Sure, the first half is conventional, but the delivery was, I believe, exceptional. Not once did it show what was “haunting” them, and the very first time it does show anything, it really hits the mark. I generally dislike when movies of this type start explaining things to us instead of leaving things unexplained. A lot of time is devoted to that in the second act. Fear is in the unknown as they say. Great to hear I’m not alone on V/H/S. I know it has a bit of a cult following, but I just couldn’t get into most of its vignettes. I’m still willing to give V/H/S/2 a shot, but I’m not expecting much. With Insidious, generally speaking I agree that fear is in the unknown. Usually I prefer to not see what’s lurking (i.e. Don’t Be Afraid of the Dark became a joke as soon as the little creatures showed up), but I really enjoyed Insidious’s twist. That whole astral projection scene was the most suspenseful in the entire film, I thought. That said, I do understand where you’re coming from. Ahhh, really? That’s unfortunate. What a waste of a great concept.